via Asia Pacific Defense Journal. 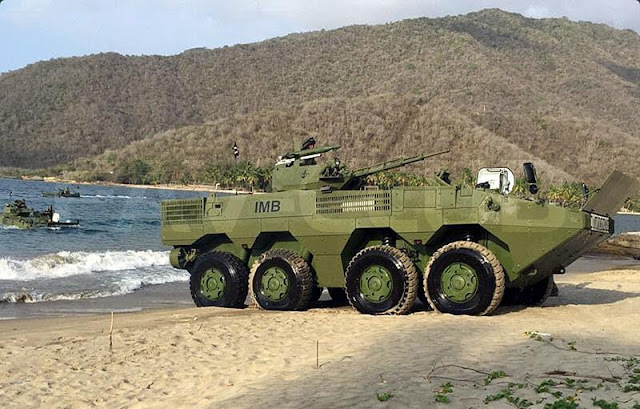 The Royal Thai Army (RTA) has requested for the acquisition of another batch of Chinese-built NORINCO VN1 8x8 wheeled armored vehicles, with the Thai Ministry of Defence expected to give a decision soon. The total value of the proposal is expected to reach THB2.25 billion (US$72 million). Thailand currently has an ongoing deal for a batch of 34 NORINCO VN1 vehicles ordered earlier at a cost of THB2.3 billion, and are expected to arrive within 2019. It is expected that the VN1 fleet would replace the Cadillac Gage V150 Commando 4x4 armored vehicles in service with the RTA since the 1970s. The NORINCO VN1 is also called the ZBL-08 in service with the China People's Liberation Army. It was also ordered by Argentina and Venezuela, aside from Thailand. China is also offering the VN1 to several other countries in Asia, Africa, and South America. Thailand is getting ready for something. I haven't been following closely but I have been watching and they're getting their armored force together. Are they doing it smartly? That's up for debate. They have a weird mix of vehicles that might lead to maintenance/sustainment problems. But time will tell.